For proper understanding and evaluation of any important information is the most effective form of their graphic representation. One perceives this form of communicating information in everyday life at every step, so it is natural that we also search for it in the workplace. 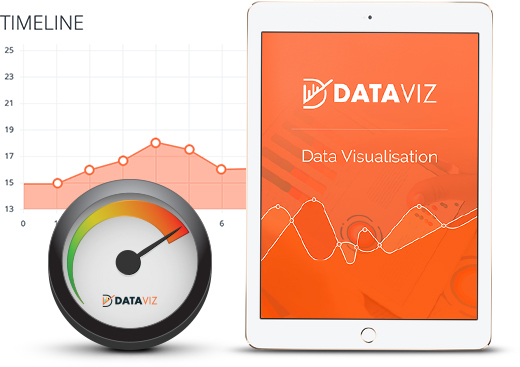 The main mission of data visualization is their presentation in the form of information, executives then have instant overview of the status and nature for these important indicators. Thanks to it they are able to quickly assess and make the immediate remedy, to remove potential adverse condition, or possibly financial losses. Often these indicators are being combined and compared with the plan, with the state of the prior year period, with a budget or with any mathematical or statistical variables. Our company provides comprehensive services for obtaining and creating a graphical overview of the data needed to support decision-making at various levels of the company management. The views apply the principles of ergonomics for convenient operation and includes drilldowns to deeper levels where it is possible, to combine data from different sources, or bring more details for proper decision. We always respect customer’s graphical identity, enhancing the impression of the assimilation of displayed information.